Unlike books and other materials, our software updates itself using the built-in selt-update feature. You can always get the latest and greatest available study material from us at no extra charge. ** FOI Fundamentals of Instruction test prep is included as part of the Flight / Ground Instructor test bank here. As such, most flight / ground instructor candidates should purchase the Flight/Ground Instructor version of GroundSchool as it will contain both the FOI prep and the specific instructor test (such as "Flight Instructor Airplane") that you will need to take. 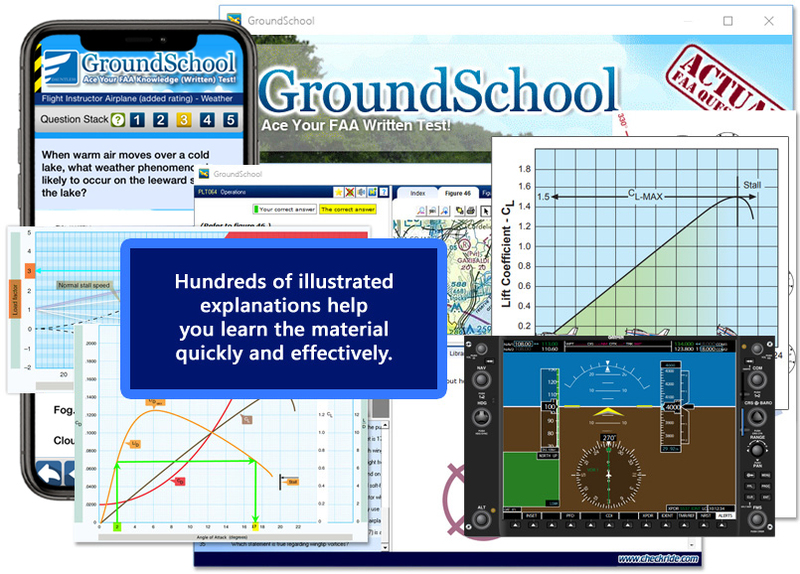 However, some people under some quite specific circumstances (such as certain FAA employees) might need to prep for the FOI only and have no intention of ever taking one of the other flight instructor tests in the future - for you, we have a Fundamentals of Instruction-only version of GroundSchool. *** Miltary Pilot/Instructor? For more information about converting your military experience to FAA certificates/ratings, visit our FAA Military Competence page. "This software was AMAZING. 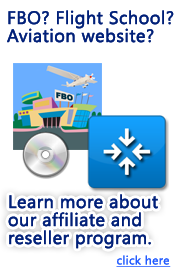 As a private pilot certificate holder, I needed to add the BGI certificate for work pursuits. With no other preparation or materials, I was able to go through your questions and explanations with ease and efficiency. I spent four days reviewing the practice exams (scoring a maximum of 86% on the practice versions). Since I was in a hurry to obtain the certificate, I decided to attempt the actual exam. Time taken to complete the test was 1:12 and I scored 93%. The actual test questions were identical (or very close) to the questions encountered in your software, and I was incredibly well-prepared. Yes, this will cost you an additional testing center fee, but you'll get the ground instructor ratings with zero extra study time. While the ground instructor ratings may be somewhat needless for most flight instructors in terms of instructing, they do look good on an aviation CV plus they are required if you ever get the opportunity to upgrade your flight instructor certificate to Gold Seal status.